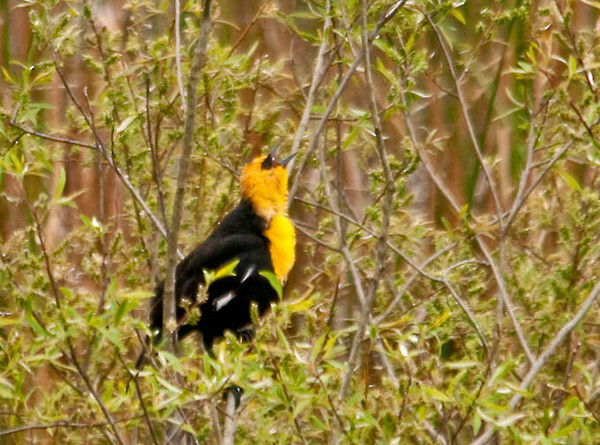 The Yellow-headed Blackbird was repeatedly calling for a mate. His call sounds more like a duck than that of other blackbird species. Given that he is way east of his normal range, it is unlikely he will find a mate.